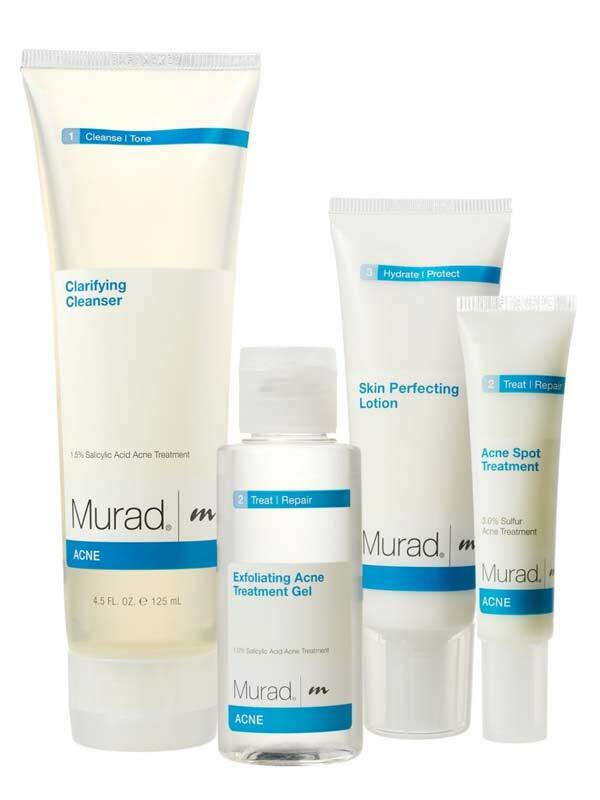 Murad Acne Complex kit promises glowing results. According to their website, 92% of users will see a reduction in acne in just a few days. Developed by a reputable dermatologist and with over 2 million customers this has to be the real deal – right? The formulation indeed looks promising and Murad seems to have many happy customers. On the flip side, a lot of people complain Murad makes their acne much worse, possibly a result of the many irritating ingredients found in the products. Take a moment to read this comprehensive and unbiased review of Murad Acne Complex to decide whether it’s the right product for you. Dr. Murad wants you to believe his products are gentler and more soothing than competing products. They make a big fuss of not using benzoyl peroxide and including lots of soothing and calming ingredients. They even go as far as featuring a (I presume paid) TV interview where the host says Proactiv includes ingredients that can bleach clothes and towels. In the same video Dr. Murad says there’s no reason to include harsh chemicals in acne treatment products. Unfortunately this is pure marketing BS. First, Murad does include irritating ingredients, and second, the most of the ‘soothing’ ingredients are there to make the product look good. They are correct to point out that benzoyl peroxide can irritate the skin, especially when overused (like in Proactiv). But when used properly, most people have no problems with it. Instead of benzoyl peroxide, Murad uses hydrogen peroxide in their Exfoliating Acne Treatment Gel. Both benzoyl and hydrogen peroxide work by releasing oxygen radicals. These free radicals peel away the upper layer of the skin, keeping your skin pores open and allowing other ingredients to penetrate deeper. Is hydrogen peroxide (HP) any better than benzoyl peroxide (BP)? 2 studies have compared the effectiveness of HP acne treatments to BP-based treatments. In both studies there was no difference in effectiveness, but HP-based treatments caused fewer side-effects. So yes, based on this limited data, it seems like replacing BP with HP can reduce side-effects, and HP is gentler than BP. But you can’t say that HP is soothing as both ingredients cause inflammatory damage and can irritate the skin. And while Murad lambasts Proactiv for including bleaching ingredients, they conveniently forget to mention that hydrogen peroxide is also bleach. I don’t mean to claim that retinoid irritation is very common. You have to look at the benefits of retinoids vs. the side-effects they cause. And in balance retinoids are good for your skin – that’s why they are used in many prescription acne treatments. My point is to show Murad may not be as gentle as they want you to believe. Although this is a skin-care line to consider for some good AHA options, the majority of the products are nothing more than a problem for skin. 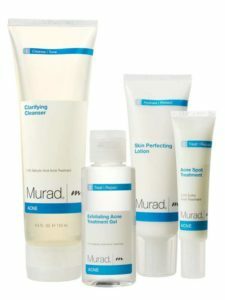 Murad may have been one of the first dermatologist-developed skin-care lines, but by today’s standards his line is deplorable. This is largely due to a preponderance of irritating ingredients that show up in product after product. Any dermatologist selling products that include lavender, basil, and various citrus oils plus menthol and other irritants doesn’t deserve to be taken seriously. The same goes for Murad’s overuse of alcohol and his preference for treating acne with sulfur, both factors that keep some of his otherwise well-formulated, efficacious products from earning a recommendation. I’ve written many times about the importance of topical antioxidants. So when I noticed Murad making a big deal about antioxidants I started to get interested. I thought that perhaps there is really something to it. Unfortunately, their ingredient choices left me scratching my head. Let’s look at these soothing botanicals and what science says about them. There’s very little research on any of these ingredients in treatment of acne in humans. But there are in vitro (test tube) studies on acne as well as human studies on other skin conditions. So right off the bat we are on scientifically shaky ground. Out of all the botanical ingredients, aloe vera has the best supporting evidence. One study on acne patients showed that combination of 50% aloe vera and 0.05% tretonin (retinoid) cream reduced acne more than 0.05% tretonin cream alone. People using the combination cream also reported fewer side-effects. The thing with this study is that the cream contained 50% aloe vera – much more than you’ll find in Murad or most other commercial creams. Aloe vera has also shown good results in psoriasis. This study compared 0.5% aloe vera extract to a placebo cream. After 4 weeks 25 of 30 patients using aloe vera cream were considered as cured, as compared to only 2 of 30 using the placebo cream. Another study showed aloe vera gel to be as effective as a commonly prescribed psoriasis cream. Aloe vera has also been shown to improve healing of burns and wounds by restoring the skin barrier function and moisturizing the skin. Licorice is another botanical with human studies on acne. The study showed that a moisturizer containing 5 herbs (licorice, green tea and 3 others) reduced acne and controlled P. Acnes bacteria. But this study was so bad quality that we can’t draw any conclusions based on it. Licorice extract has been shown to strongly inhibit P. Acnes bacteria in a test tube. The problem is you never know how findings from test tube studies translate to human results. So far 2 studies have shown that licorice extract can be effective in atopic dermatitis (red and itching skin). Both studies show 2% licorice gel reduce itching, redness and scaling better than a placebo cream. There’s also some evidence to show that licorice may reduce skin pigmentation, making it possibly useful in reducing post-acne redness. There’s also one study showing tonic containing licorice and other herbs can provide relief for dry and itchy scalp. Chamomile is a common ingredient in skincare products. Many alt-med websites also hype its anti-inflammatory properties. Unfortunately scientific results fall far short of the hype. One study compared chamomile extracts against 0.5% hydrocortisone and placebo in atopic dermatitis patients. The chamomile cream was marginally better than the hydrocortisone, but neither cream was any better than a placebo cream. That’s the only study I could find. So there’s no evidence to show topical chamomile works for anything. Murad products also contain the following botanicals, but there was no evidence to support any of these. Peppermint. There’s no evidence to show topical peppermint is effective for anything. In fact, it could be harmful. A handful of studies report contact allergy to peppermint in various products. Green tea. There is evidence to show that green tea can reduce acne and possibly even sebum production. Murad claims it contains green tea extract, but a look at the label shows Camellia Oleifera instead of Camellia Sinensis. Green tea is made of Camillia Sinensis whereas Camelia Oleifera is used to make ‘tea oil’ – these are not the same thing. There’s no evidence to show any benefit from Camelia Oleifera. So Murad is downright deceptive in claiming Camlia Oleifera is the same as green tea. Why Murad chose these ingredients? Looking at the scientific evidence makes me wonder why Murad chose these ingredients. Aside from aloe vera and licorice, there’s no evidence to say they are good for anything. Why not use vitamin B3 or vitamin C derivatives? There’s good evidence to show both of those are effective against acne. Both have been found as effective as current standard acne treatments (benzoyl peroxide and topical antioxidants). A cynic might think it’s because those ingredients look good on the label. 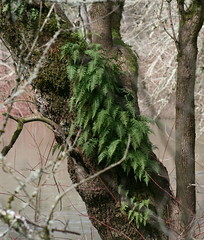 People find flower extracts and other botanicals as naturally appealing. I’m not privy to Murad’s formulating decisions, but perhaps they just wanted to tap into those beliefs to make their product look better. What customers say about Murad? More than any other product I’ve seen, Murad seems to polarize customer opinions. Some people claim it’s the only thing that works for them. And then there are people who claim the product transformed their mild acne to painful cystic acne. Making acne worse doesn’t appear to be a short-term thing either. Some of these people have been using Murad for several months with nothing but horrible results to show for. It’s always hard to know what to make of customer reviews. In this case it seems like some people just have a horrible reaction to something in Murad products. These are quite bad ratings. Average rating on this site tends to be 3 to 3.5 starts, so 2.44 is quite bad – even Proactiv got a better rating. And only 29% would recommend this to others – and abysmally low figure. To be honest, Murad reviews on this site are more critical and negative than on other websites. 3.6 starts out of 5 is not that bad. And over at Amazon I found a lot more ‘I love it’ type reviews. Whether this is the result of Murad padding their Amazon reviews, I don’t know. Regardless, based on customer reviews Murad looks like a hit or miss affair. It could work for your spectacularly well – or it could all go hideously wrong. By ordering now, you’ll be enrolled in the Home Delivery Program. In 30 days you will receive a replenishment of the Acne Complex® 60-day supply and continue getting a kit every 2 months, and you lock in the special low price of just $29.95 a month plus $8.95 S&H for each shipment. So they will charge you $68.85 every 60 days. There’s nothing wrong with auto-shipping programs as long as they make customers aware of it. The company backs up their products with “60-day 100% money back guarantee”. By all accounts it seems they actually honor that guarantee. I couldn’t find any complaints of Murad not giving refunds or making it excessively difficult (like Proactiv does). They will not refund the shipping and handling fees and you have to ship the bottles back on your own expense, but as long as you do that you should get the refund. On the face of it Murad Acne Complex looks like a decent acne treatment product. It contains proven acne fighting ingredients as well as anti-inflammatory botanicals. Given the ingredients, I would expect many people to get reasonably good results with it. Contrary to their claims, I wouldn’t call Murad very soothing because the products contain many potentially irritating ingredients. These can even aggravate acne for some people. Some of the active ingredients can also dry out your skin. Effective products always have some side-effects, so I wouldn’t be overly concerned with the active ingredients in Murad. It should be gentler on your skin than Proactiv. It all depends on how your skin reacts to the product, and unfortunately there’s no way to know this in advance. I would rate Murad as better than Proactiv (which is just expensive benzoyl peroxide) but not at the level of Exposed Skin Care, which remains as my #1 acne treatment. Efficacy and safety of stabilised hydrogen peroxide cream (Crystacide) in mild-to-moderate acne vulgaris: a randomised, controlled trial versus benzoyl peroxide gel. Skin tolerability and efficacy of combination therapy with hydrogen peroxide stabilized cream and adapalene gel in comparison with benzoyl peroxide cream and adapalene gel in common acne. A randomized, investigator-masked, controlled trial. Which plant for which skin disease? Part 1: Atopic dermatitis, psoriasis, acne, condyloma and herpes simplex. A multicenter, randomized, vehicle-controlled clinical study to examine the efficacy and safety of MAS063DP (Atopiclair) in the management of mild to moderate atopic dermatitis in adults.